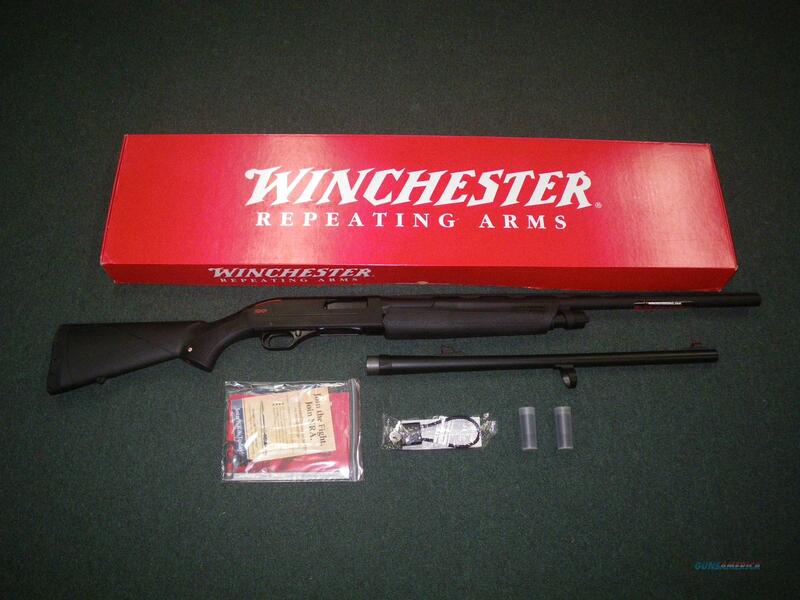 Description: You are bidding on a new Winchester SXP Buck/Bird Combo in 12ga with a 26" barrel and 2-3/4" Chamber. This shotgun comes with three choke tubes (F,M,IC). Your gun budget just bought you more than you planned on. The SXP is a super fast pump with an excellent barrel paired with Invector-Plus chokes that result in excellent, consistent patterns. Add to this combination of winning elements a rifled barrel with TRUGLO fiber optic sights, and you'll be putting venison on the table this fall. Displayed images are stock photos. Any questions please feel free to ask (our phone number is in the additional information tab above).